If anyone knows me at all, they’ll know that I absolutely adore Spaghetti Bolognese. If I could, I would honestly eat this for every meal of my life with generous helpings of cheese every single time. 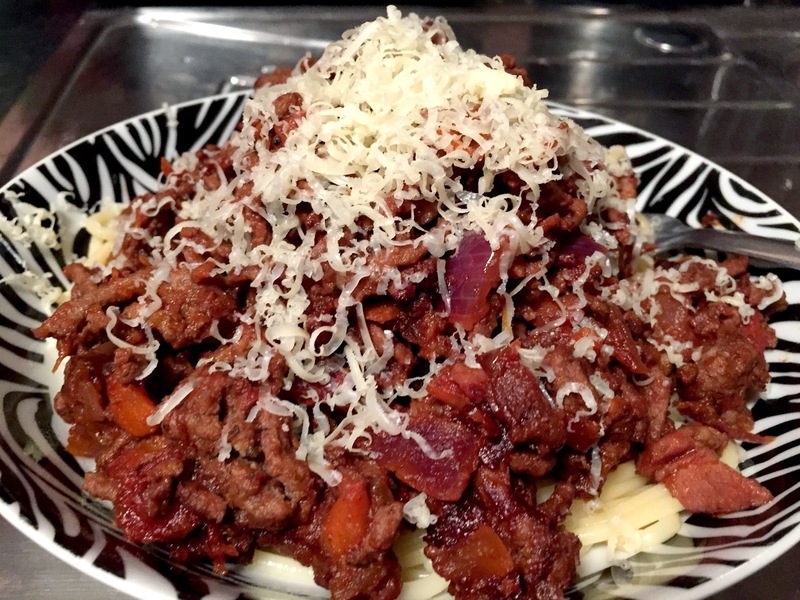 As I’m now taking on a healthier ‘way of life’ and changing my eating habits, Spaghetti Bolognese is something that I definitely cannot have as often as I would like. 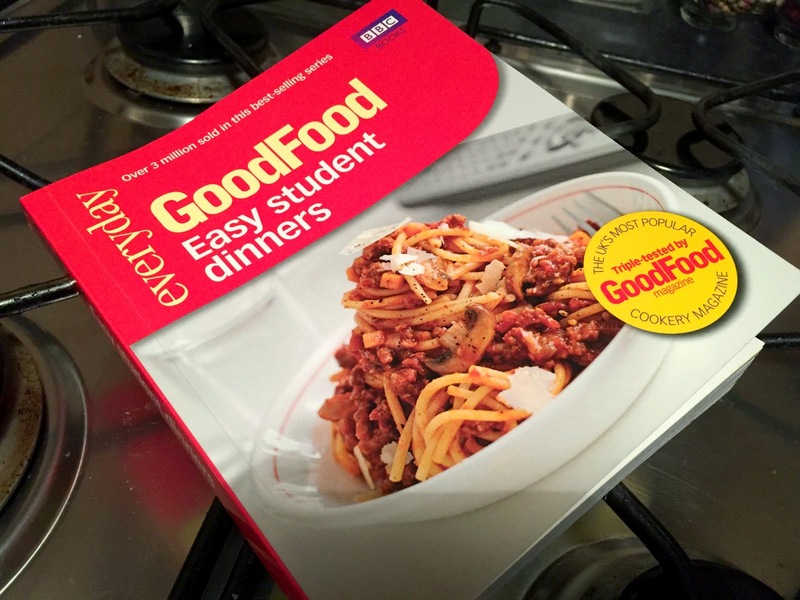 Today, I’ve found a gorgeous recipe for my favourite dish in the ‘BBC Good Food: Easy Student Dinners’ recipe book, which I thought I would share with you all. It’s brilliant for a Saturday treat with a slice or two of Garlic Baguette and a minimal amount of Parmesan cheese. Even though I’m not a student, I’ve found this little recipe book to be the best thing that I’ve bought recently (along with my Breville Blend Active blender). I am and have been a very fussy person in the past and trying new recipes and foods is such a scary thing for me. My boyfriend has much more of a varied palette and enjoys a lot more meals and so to get myself out of my foodie rut, I’ve been challenging myself to try at least one different meal a week, this BBC Good Food Student’s recipe book has been a great little help into easing me into new meals as a lot of them are based around foods that I like. I hope that I can share a lot more of these recipes with you as I try them and hope you enjoy them! *This is not my recipe, it is that of the ‘BBC Good Food: Easy Student Dinners’ recipe book. In the recipe book, this delicious bolognese recipe is actually meant to be to serve 12 people, but with some amazing math skills and the art of my skilful eye (and stomach of course), I managed to adjust the recipe to create enough for just me and my boyfriend. Below is the recipe that I followed, with quantities that I used for a 2 person serving in brackets beside each ingredient. I’ve also detailed the method below for how to make this at home, but please note that I have not copied this direct from the book and that I have written the method in my own words. 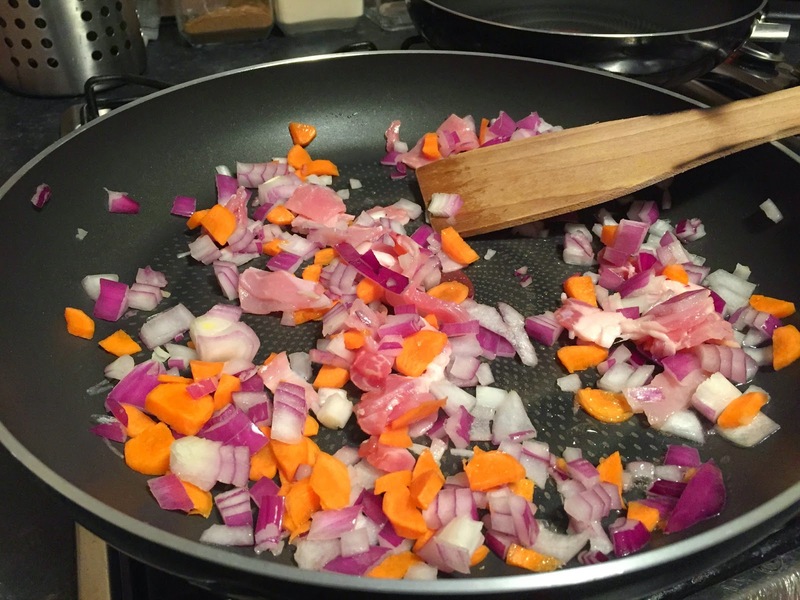 Using a very large frying pan, heat the oil and cook the bacon, onion, carrots and celery until golden brown, then add the mushrooms, garlic, herbs and bay leaves for another couple of minutes. 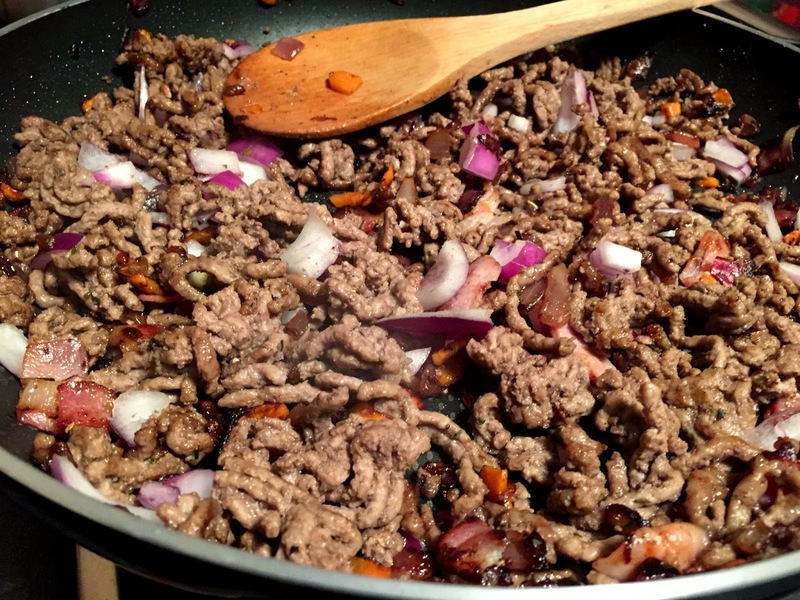 Heat another large frying pan and brown off the minced beef adding it into the veg once cooked. 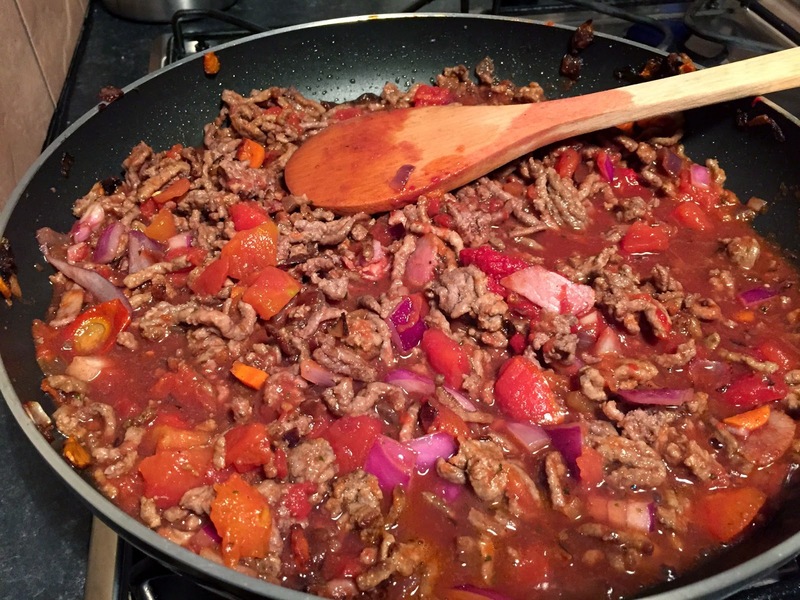 Add the tin of tomatoes and the puree to the veg and mince and then rinse out the empty tin of tomatoes with your red wine, adding it to the pan after along with the red wine vinegar and caster sugar. Season generously and bring to a simmer. It says to simmer for an hour for the 12 person serving, but mine simmered lovely for 10 minutes and was ready to go! Then you can serve with spaghetti and parmesan. We both absolutely loved this recipe and will be making it again very soon for my family (we’re all massive spaghetti bolognese lovers). 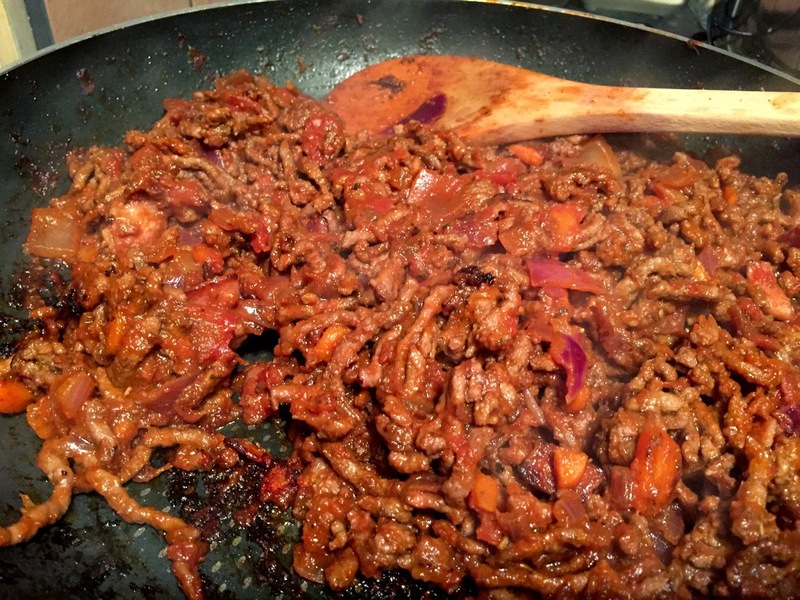 The recipe from the BBC Good Food book also gives you a rough guideline of the nutritional information within the bolognese! I think this is such a great feature as I’m trying to be quite health conscious at the moment and love to know how much salt, sugar and fat I’m putting into my body! What recipes do you like to make from scratch? I may have to get that book, does it have many vegetarian recipes in it?